You have decided to sell your home and you want to sell it now. The decision to sell a house where you have lived for years, the house where your memories are written on the wall, the house that is a witness to your trials and tribulations is really hard; even harder is selling your house. In case you are one of the individuals who is facing a challenge of “sell my home now,” here are some tips to give you a startup right away. If you are thinking about “sell my home now,” you must also realize that there are people who are thinking about “buy my own home now.” If a person who wants to sell his home now and a person who wants to buy home now can be matched, its wonderful. However, to make a perfect match between the seller and the buyer, number of things should be considered, for example, your home should be similar to the kind of house the buyer’s has in his mind, should be in the same location, should fit buyer’s budget etc. Place a “house for sell” play-card on your house. A potential buyer might spot your house when he is strolling in the neighborhood. Word-of-mouth is a wonderful technique. Talk to as many people as you can, for example, your neighbors, friends, relatives, co-workers etc. They might find buyer for you. Place sticky notes and posters on the places where people gather in large number such as bus stand, library, public parks, even Church’s notice boards. Advertise in newspapers and magazines. This cost you money, but it is worthwhile. Alternatively, you can also place ads on websites with high traffic or websites that deals with property. Last but not the least get in touch with property dealers/agents, property brokers and real estate agency. 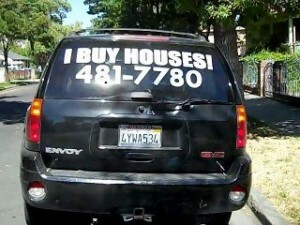 One of the ways to sell your home instantly is by selling your home to “we buy your home” company or business. You can sell your home quickly, in less than a week and no more than 6 weeks, through companies and businesses that invest in residential homes. Under value: Usually, “we buy your home” kind of companies or businesses undervalues your property. Since they are buying home immediately and paying cash, they will most of the time pay lesser than the actual value of your house. House size: Usually, “we buy your home” companies or businesses are interested only in small houses. If you have large houses, they might not be a great help. Since these companies are buying houses from home owners in a hope that they will be able to sell to another person, there is a risk associated in this business. Therefore, they deal with houses that have cheap values. Fraud prevention: “We buy your home” companies/businesses are opportunist investors. They fish in muddy waters by attracting people whose house is mortgaged, have debts and need cash immediately. Once they know, why these people want to sell their house, they will offer amount that is too smaller than the actual price.